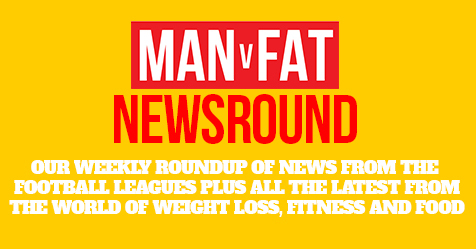 We’re constantly banging on about how great our MAN v FAT Football members are for going the extra mile when looking to reach their weight loss goals – this week we have another two superstars to shout about. Matt Green and Mike Roberts, both from the Manchester league, have both pushed the limits in pursuit of success. Matt, who is a seasoned and accomplished cyclist and somebody familiar with being on the saddle due to his 18 mile daily commute and who has also previously completed the 100 mile Birmingham Velo and infamous Manchester to Blackpool ride, was looking for something different to cycling when he felt he had hit a brick wall when he stopped losing the pounds. 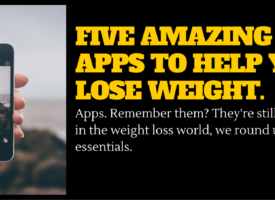 He saw MAN V FAT as a perfect opportunity to get back on the weight loss grind. Paranoid that his fitness levels wouldn’t be up to scratch, Matt decided to start running a little bit here and there. Starting off with some light ten-minute jogs around his neighbourhood, he soon upped it to 5k and then 10k which he found himself doing regularly, even completing the Blackpool 10k. Having discovered a new found love for running, Matt signed up for a half marathon, but it was a bittersweet experience. Despite pulling a muscle in the last two miles and subsequently having to ‘hobble’ over the finish line, Matt did complete the mammoth challenge and he didn’t finish last! After struggling because of injury in the second season of the Manchester league, Matt had some time to think in his 8 weeks on the sidelines and is now in the zone, ready to “do his team proud” – with the attitude, determination after a setback and desire Matt has shown, I am sure he’ll be regarded as an essential player for his team. 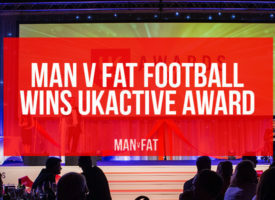 Another top performer from the Manchester league is Mike Roberts, who since joining MAN v FAT Football in January 2017 has lost a whopping 23kg in his two seasons. His achievement is even more impressive when it’s broken down into his performance each season; having only lost 3kg in season 1, Mike managed to shed a staggering 20kg in his second season, taking 22cm of his waistline – bravo! 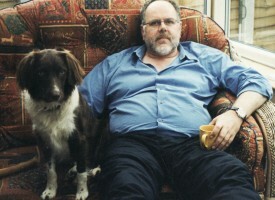 Mike found the key to his success was (safely) overloading himself with exercise, this way he found he could still enjoy all of life’s little luxuries like chocolate, crisps and biscuits, but still manage to lose the pounds. 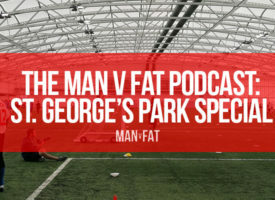 Having found a comfortable balance of extra exercise sessions and sugary treats, Mike challenged his teammates to a friendly bet; depending on whichever player lost the most weight at the end of the season, the other would have to post a picture of their football team’s biggest rival, the two clubs in question being Liverpool and Manchester United (thankfully they weren’t doing it based on which team scored the most goals…). Knowing that his teammate was signed up for a 10km run, Mike decided he needed to up the gear as well by signing up for the Manchester to Blackpool bike ride, having seen an online advert and felt his riding style suited the off-road element. Taking on the challenge with two friends, one being a personal trainer, the two were bewildered when Mike was displaying the most energy towards the end of the race, and Mike simply stated that it is down to the “wonderful concept of MAN v FAT Football” for allowing him to “get back to playing footy, feeling good about yourself and opening the door to many new things”. Mike finished season two by being crowned ‘golden moob winner’ for the Manchester league. Go on Mike! 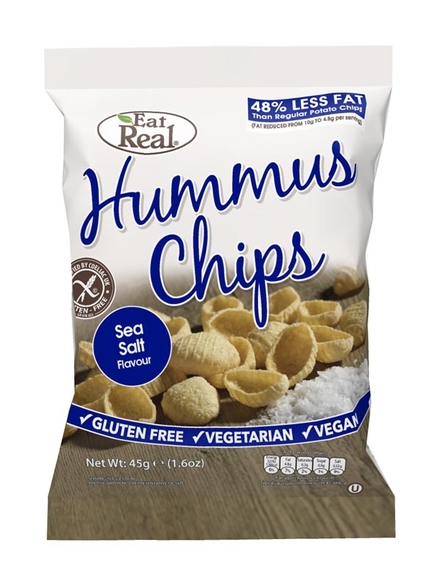 Hummus flavoured crisps aren’t necessarily a flavour combination which whets the appetite, but the Sea Salt Hummus Chips from perennial champions of healthy snack alternatives Eat Real, are just the tasty savoury treat you’ve been looking for. Free from all fourteen declarable allergens and “48% lower in fat than standard potato chips”, these delicious bites are even suitable for vegans, meaning everybody regardless of their dietary requirements can enjoy them. But, if you were going to be selfish and indulge in a packet for yourself (I don’t blame you, they’re yummy), nutrition wise you wouldn’t be doing yourself that much harm; stacking in at a respectable 9g of fat per 45g packet, that’s just under 20g less fat than the market leader for luxury crisps – just don’t go too mad and eat loads! Available at Holland & Barrett for £0.85 pence per packet.